Regular NARC. 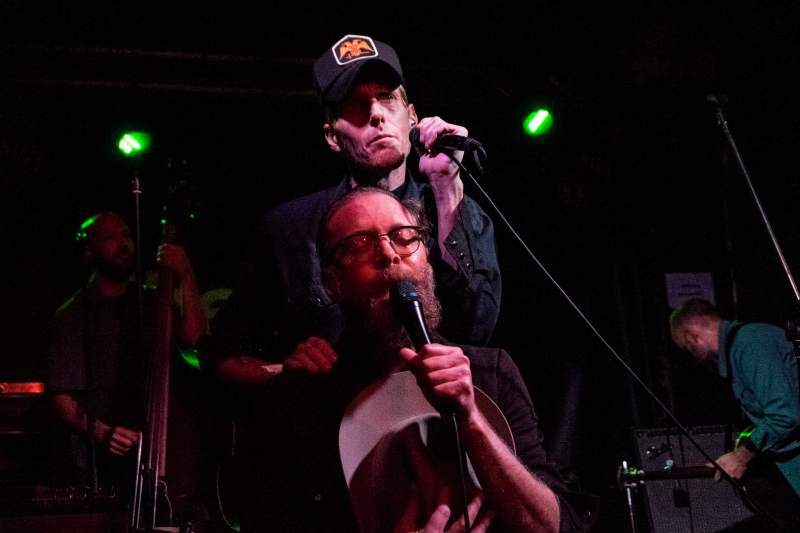 readers might have noticed that I like to bang the drum especially hard for Slim Cessna’s Auto Club, for my money one of the top two or three live acts in the world right now. Last year, we Tyneside SCAC fans were amazed and delighted when they fetched up at The Cluny and (can I get a hallelujah up in here?) they’re back again this month. There really is nothing like a SCAC show – a shitkicking mélange of southern gothic, raucous gospel, bluegrass, country punk and pitch black folk (think Violent Femmes meets Legendary Shack Shakers meets the Bad Seeds meets X, but even better than that sounds). Still touring their remarkable The Commandments According To SCAC album (as well as the recent reissue of their classic Cipher set), they’re hitting Newcastle’s Cluny on Wednesday 27th September and I genuinely implore you to get down there and wade in the Auto Club’s unique water. There really is nothing like it.